At Atrium Medical Center, the materials management team can be compared to the veins and arteries of the hospital. We supply the nurses, doctors, CNA’s and even housekeeping with all the supplies they need to keep the hospital not only functioning, but running smoothly and seamlessly during its daily operations. Our department is proud to have relationships with some of the largest and most respected vendors in the industry; supplying top of the line medical equipment that are needed to get the job done and get it done right. From Teleflex and Covidien to Baxter, 3M and GE, Atrium Medical Center uses only the highest in industry standards when it comes to medical equipment. Though we are not in contact with our patients, the materials management team knows and understands how vital our role is in patient care and we treat every item from a small bandage to a CT Scanner with the utmost care. 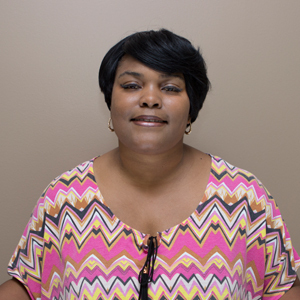 Shandle Miller is the Director of Materials Management here at Atrium Medical Center. He studied business at University of North Texas and University of Houston. Prior to joining the Atrium team, Mr. Elliot worked in the oil & gas industry in accounting and asset logistics.